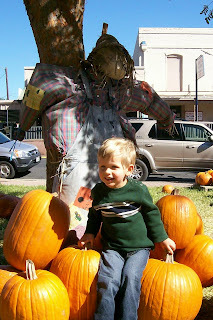 Dawson really enjoyed visiting the local pumpkin patch. 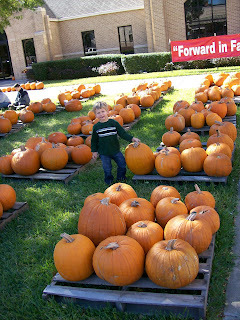 He was fascinated with all the pumpkins and enjoying picking them up and moving them around. 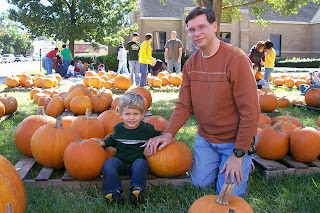 Dawson and Dad in the pumpkin patch. 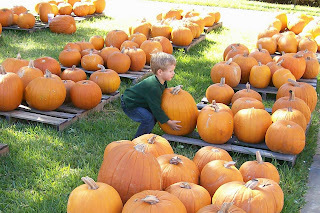 Checking out all the pumpkins. 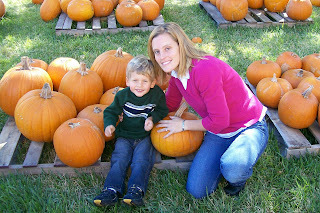 Trying to pick up a very heavy pumpkin. 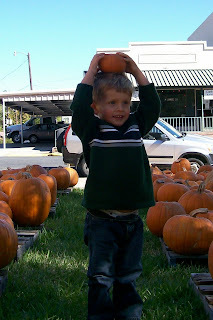 Balancing one of the small pumpkins on his head.